Frog is the member of carnivorous group of short bodied and tailless amphibians in order Anura. They are distributed widely ranging from tropics to subarctic regions but the highest diversity is in tropical rainforests. 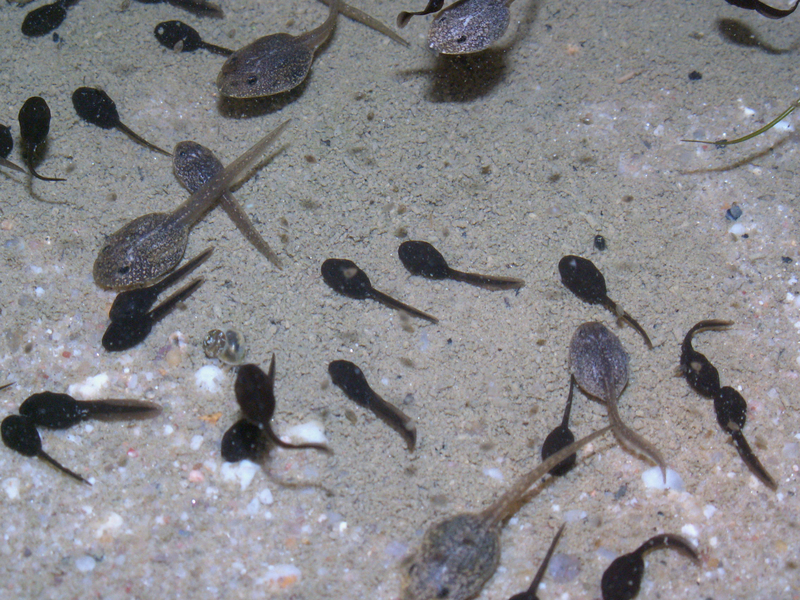 About 4800 species are recorded accounting over 85% of extant amphibian species. Generally an adult frog is characterized by stout body, cleft tongue, protruding eyes and strong webbed hind feet. It has smooth and moist skins. Frog legs are considered to be the best delicacy of Chinese and French cuisine. 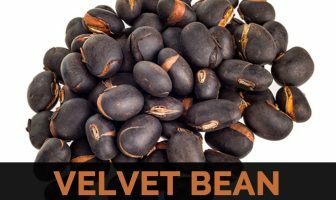 It is also consumed in various parts of world namely Thailand, Vietnam, Northern Italy, Indonesia, Albania, Spain, Alentejo region of Portugal, the northwest Greece, Romania and Southern regions of United States. Frogs are still caught wild in Caribbean, Mexico and Brazil. 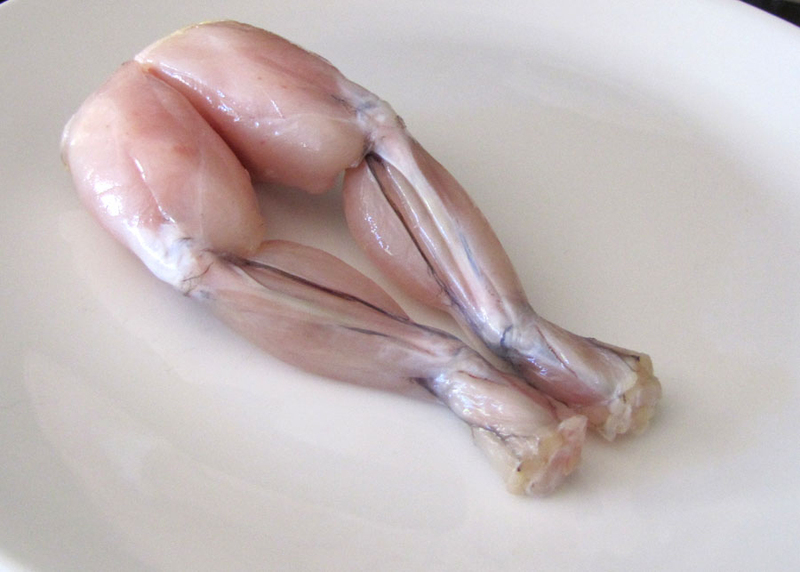 Frog legs are the good source of omega-3 fatty acids, protein, potassium and Vitamin A. The taste is often considered to resemble chicken due to its mild flavor and its texture is similar to chicken wings. The texture and taste of frog meat is between fish and chicken. In some countries such as Vietnam, frogs are commercially raised. 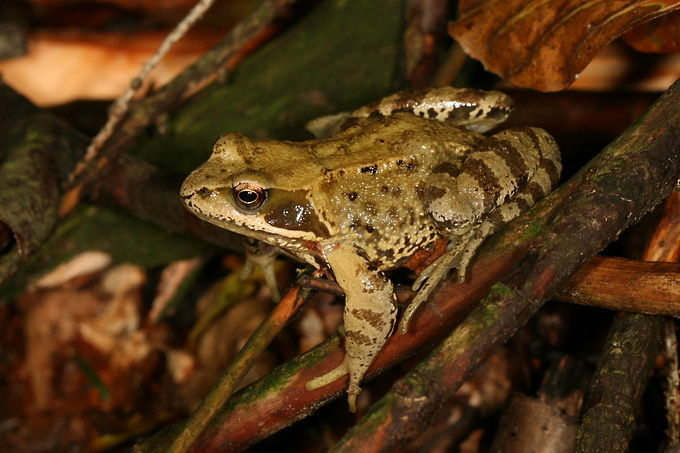 The legs and feet structure differs among frog species which depends on whether they live on ground, in burrows, in trees and in water. They must be able to move quickly through environment for catching prey and to escape from predators. They are efficient at jumping. Fibula, tibia and tarsals are fused into single and strong bone, radius and ulna in fore limbs that absorbs impact on landing. Metatarsals are elongated for adding leg length and also allow frogs for pushing against ground for longer period on takeoff. Illium is elongated and formed mobile joint having sacrum in specialist jumpers such as hylids and ranids, acts as an additional limb joint for further power leaps. Tail vertebrate are fused into urostyle that is retracted inside pelvis. It allows force during a leap to be transferred from legs to body. Muscular system is modified. 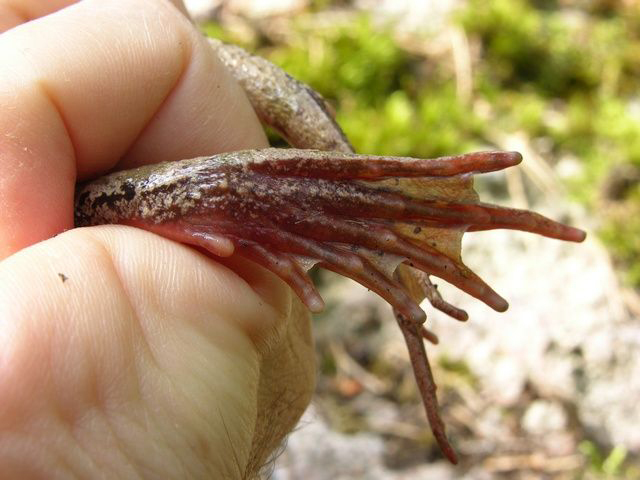 Ancestral frogs have hind limbs which contains pairs of muscles that act in opposition as seen in other limbed animals. In modern frogs, all muscles are modified for contributing action of jumping having few small muscles remained to bring the limb back to starting position and maintain posture. Muscles are greatly enlarged having main leg muscles that account over 17% of total mass of frogs. It is a healthy substitute for chicken and red meat to support weight loss. The serving size of 100 grams of frog legs offers 0.3 grams of fat in comparison to 3 g in similar serving of grilled chicken breast. 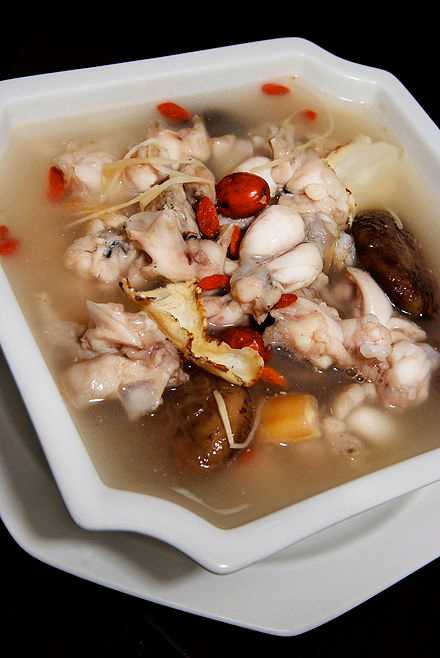 The consumption of frog legs helps to control the intake of fat. In addition, intake fruits and green vegetables to fulfill the requirement of minerals and vitamins. Frog legs contain ample amounts of protein. Serving size of 100 grams grants 16 grams of protein. Protein is a vital nutrient to build muscles. It assists to build energy body. It could regenerate damaged cells with new cells. Beans and frog legs serve as a healthiest option if searching for protein foods. The low content of calories makes it a best option to add frog legs to meals. One serving of 100 grams of frog legs (stir-fried) provides 70 calories whereas the chicken thigh offers 280 calories. It is a smart choice for those who want to have a healthy diet. Foods with low content of calories assist to lower the chances of blood clots and manage weight. Frog legs have ample omega-3 fatty acid that promotes brain health. This fatty acid also promotes cognitive health by improving memory and prevents the chances of Alzheimer’s disease. So to reap this health benefit, one should consume healthy foods such as mackerel, frog legs, salmon and other seafood. The presence of Omega-3 fatty acids helps to enhance healthy life. Frog legs are great source of sodium. The serving size of 100 grams of frog legs grants 58 grams of sodium. Sodium helps to enhance the muscle contraction and maintains fluid in the body. It also assists to maintain blood pressure. One could achieve adequate sodium by consuming frog legs. It is better to cook without adding any salt as it promotes the sodium content. High presence of sodium in the body results in heart problems such as stroke and heart attack. Frog legs have ample amounts of potassium that assist to promote strong muscles. The serving size of 100 grams provides 285 mg of potassium. Potassium helps to lower blood pressure, promotes strong muscles as well as mineral density. The consumption of potassium rich foods such as lettuce and frog legs provides positive result in the body. 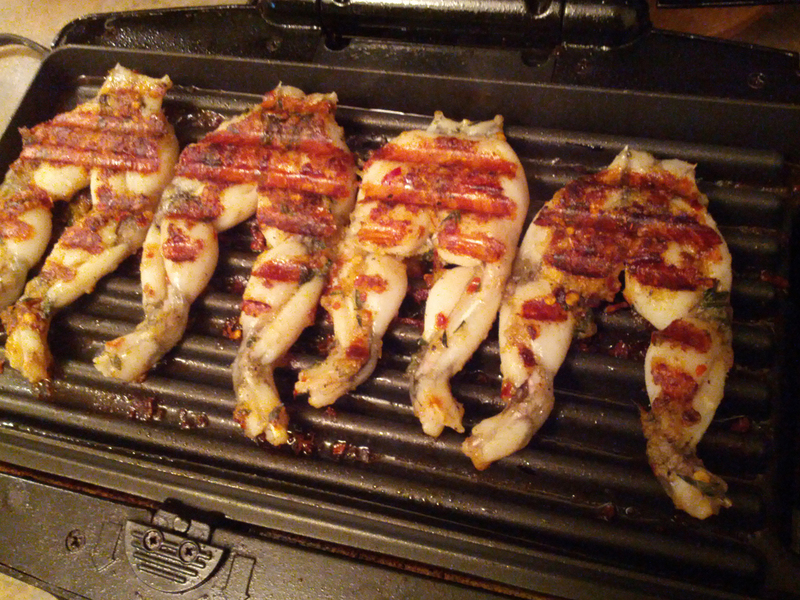 Frog legs are a great source of iron which assists in transporting oxygen to other body parts. It also enhances brain function and also formation of hemoglobin. Literally, iron has a vital role in enhancing the bodily functions. Add frog legs with other iron foods such as beans and red meat to bring valuable benefits. The deficiency in nutrient iron results to the chances of anemia. Frog legs also contain magnesium which has a role in enhancing enzymes function in the body. Additionally, sufficient intake of magnesium foods enhances cardiovascular system as well as bone health. Hence, one should consume foods rich in magnesium such as frog legs to experience health benefits. 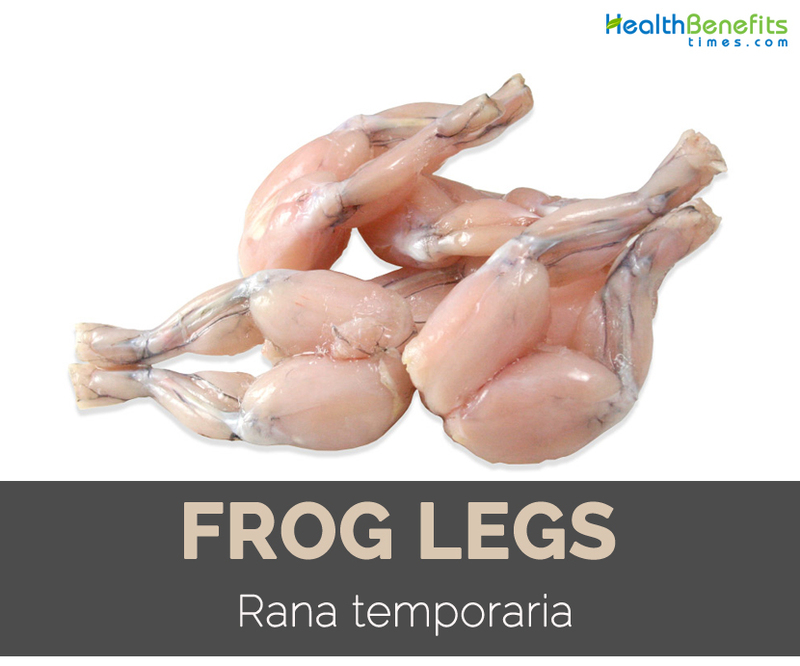 Frog legs are rich in proteins which are essential for promoting energy. Additionally, valuable nutrients supports in body function. Those who want to gain more energy for activities should consume frog legs. Frog legs contain antibiotic properties. 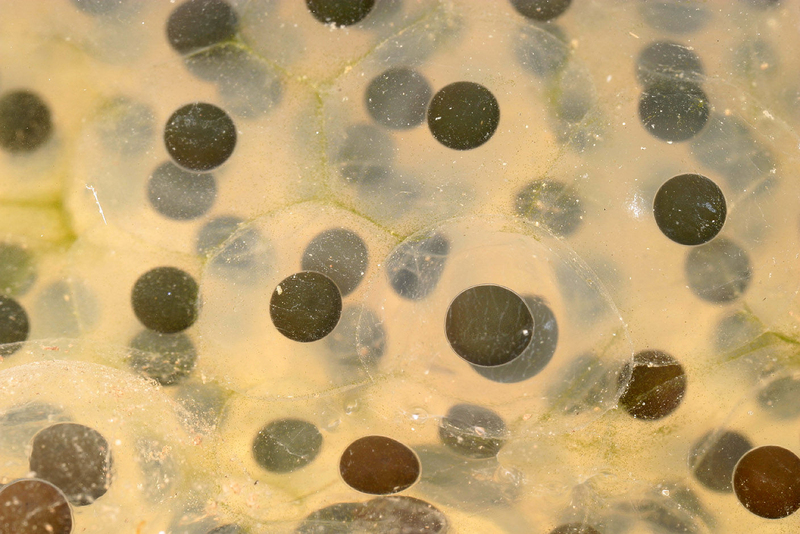 Skin has some substances which are attached to frog meat to prevent microbial growth. It prevents the chances of infections and diseases. Frog legs help to treat impotence in men. 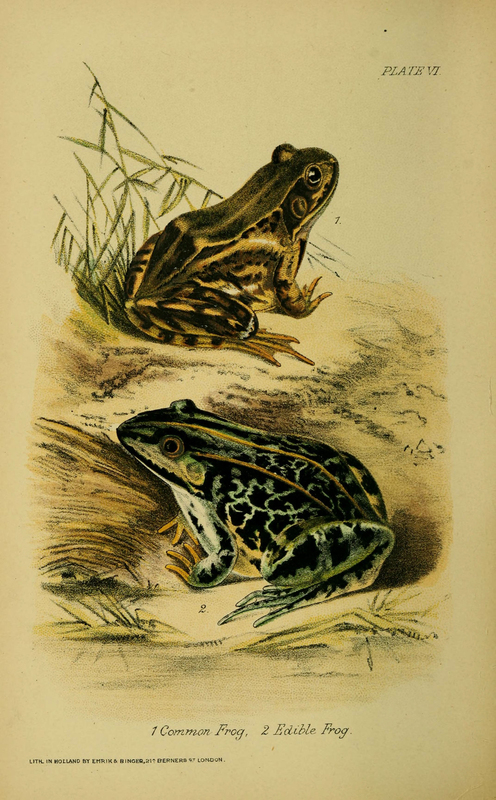 The juice made from frog meat provides effective results as a cure for impotence. Frog juice helps to promote stamina and improve libido as well. Those wanting to promote sexual desire and treat impotence may find the consumption of frog legs to be helpful. Frog legs are great source of Vitamin A which assists in promoting healthy vision. The presences of Vitamin A assist in preventing the chances of vision loss and macular degeneration. Those who want to promote healthy vision should add fruits and vegetables such as carrot. Iron helps to regulate the flow of blood. Iron has a vital part which controls blood regulation. It also assists in preventing anemia. Moreover, potassium and iron helps to enhance cardiovascular system and prevent heart diseases such as stroke and heart attack. Intake frog legs to reap benefits. 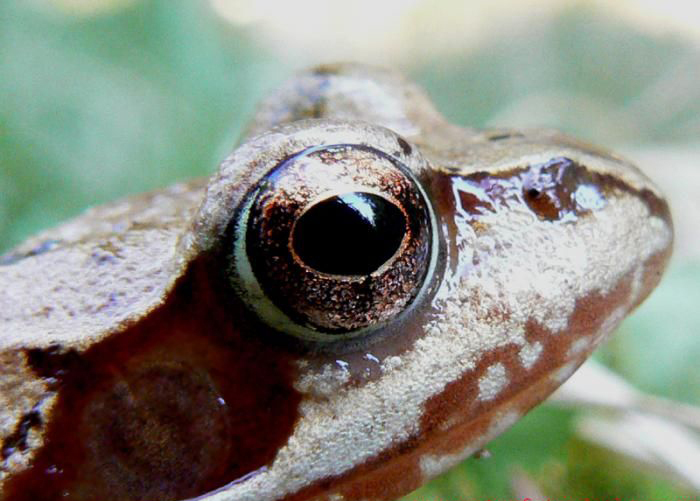 Research found out that indentification of two proteins in frog meat helps to treat cancers. These two proteins are waxy monkey that inhibits growth of blood vessels and destroy cancerous tumor. Serve it as an appetizer or main dish. 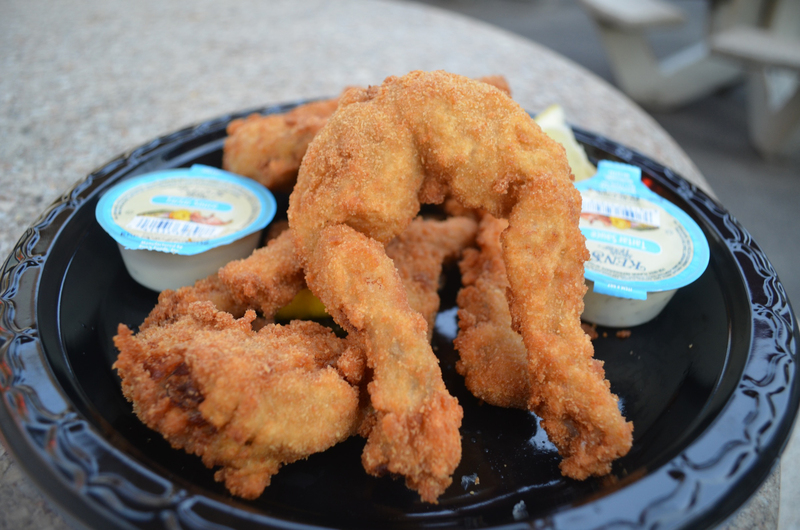 Frog legs are pan fried, deep fried, grilled, sautéed and baked. Serve frog legs warm with okra, crab dip, fried green tomatoes, spiced grits, casserole, coleslaw and favorite dipping sauce. Incorporate frog legs with stew, pasta, other entrees and tacos. 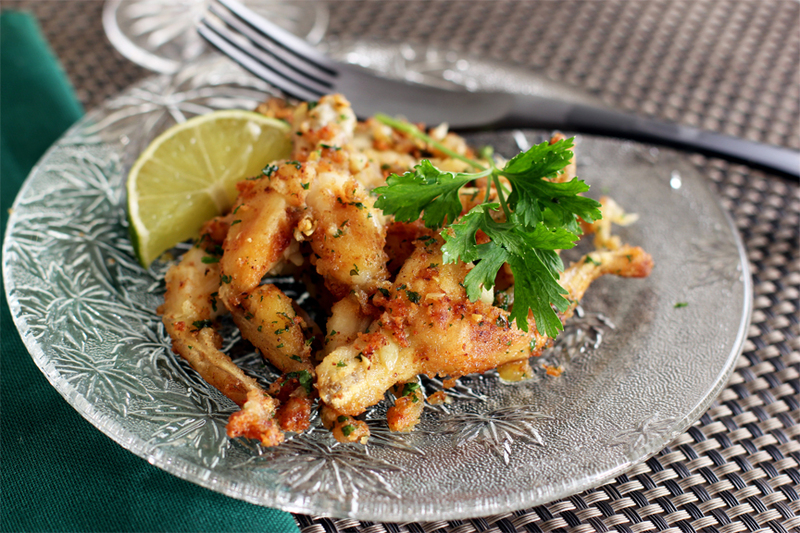 Dip frog legs into flour adding garlic and fry them in olive oil for five minutes on each side. Excess consumption of Frog meat results stroke, renal failure and disable. Frog meats may have many worms that causes headache. The largest exporter of Frog legs is considered to be Japan. 29 February is celebrated as National Frog Legs Day. It is regarded as delicacy of Cantonese and French cuisine and are consumed in other regions such as Greece, Caribbean, Spain, Italy and Southern regions of United States. Frog legs are introduced by Donat Pucheu to New Orleans and are common in French speaking parts of Louisiana such as New Orleans and Cajun areas of Southern Louisiana. Calories in 1 leg (45 g) 33 Kcal. Calories 33 Kcal. Calories from Fat 1.26 Kcal.